The EPA defines a stream as impaired if, after being treated, it still doesn’t meet quality standards for particular pollutants. 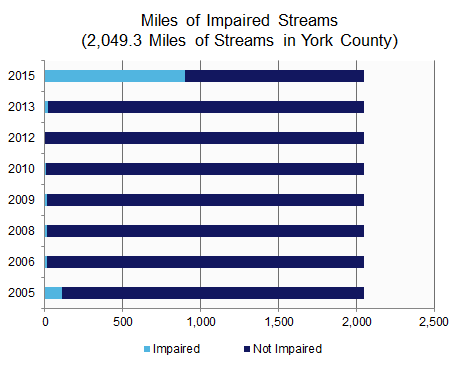 The PA Department of Environmental Protection took more recreational use into account when assessing water quality in 2015, which dramatically increased reported impairment in local streams. However, even before 2015, York County streams were becoming more polluted.